Two years ago, after going through CERT and a bunch of Red Cross Training, I decided it was time to really up my firearms training. I started with the basics of renewing my Texas CHL (Concealed Handgun License), took some private tactical handgun and rifle lessons with a USSS (United States Secret Service) firearms instructor, took a more intensive 16 Hour tactical handgun course, and did some tactical shotgun training. Eventually I realized that while I had tactical rifle training, I did not have more traditional rifle skills. Sure I could now clear a building, I could “run & gun”, but could I take down food or a threat at a meaningful distance with a rifle? After making some calls and getting a lot of “Huhhh, I don’t know…” the best I could come up with was to shell out the cash and go to a Sniper School. The issue here is that if your skill level is not already to a certain level, you will not get your moneys worth. Fortunately I started to hear about the Appleseed Project before signing up with a Sniper School. I researched Appleseed only a little before signing up and going. The price was right and they did not seem like tinfoil hat wearing nuts. Not really knowing what I was getting into and not having the time to research them fully I went ahead and signed up for their RBC (Regular Boot Camp). All I knew was they were going to teach me how to shoot a rifle properly over eight days. By the time I left I had had an almost religious experience and made some life long friends in the process. The Appleseed Project is a program through the RWVA (Revolutionary War Veterans Association) that seeks to reignite the patriotic and liberty-oriented mindset that these United States were founded upon. The organization is not political, and endorses no candidates. Appleseed is not a militia nor are they trying to raise an Army in anyway shape or form. This gets repeated pretty regularly in addition to, “Change will not come through the end of a barrel. Our forefathers already did that so we would not have to. Change comes at the ballet box.” Instructors give and students receive “Instruction” not training. They are a 100 percent volunteer organization that is all about taking men, women, and children of all skill levels and teaching them to be “Riflemen”. Rifleman: A Person who has learned to shoot a rifle accurately – accurate enough to score “expert” on the Army Qualification Course. Here’s the secret, come in close – shhh don’t tell anyone, the rifle instruction is the caramel on the history apple. What that means is that the rifle instruction is a way of getting people to come listen to a history lesson in the hopes of exposing, educating, and if possible, re-awakening American. Specifically they teach the history of the events that started the American Revolution “Three Strikes of The Match”. The history and the underlining ideals of liberty of the Revolutionary War are really what the Appleseed Project is about. Don’t get me wrong. There is a huge focus on Rifle Marksmanship and it is top notch. You will in fact spend 90% of your time at any of the events focused on becoming a better shot. However, if you are paying attention while you are there, you will take away so much more from the history aspect. The lead instructor from my RBC had just come from spending a week at White Sands training 50 soldiers. This should tell you something about the quality and level of instruction you are getting. The US Army is now hiring Appleseed to train their soldiers that need to be able to make long range shots, but not be snipers. I can’t claim to know the regularity of this, but it is happening. 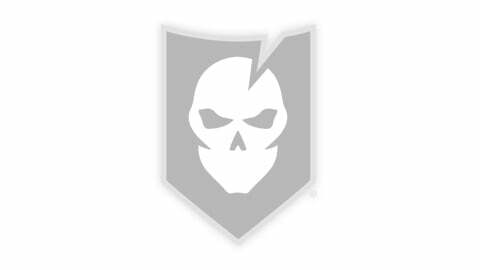 You could call the instruction a regression, not in a derogatory sense, in that it is more traditional rifle marksmanship instead of all the rifle courses out there that are either CQB our full-blown sniper school. Appleseed is a lot like what the Army used to teach and what really only the Marines teach these days in boot camp – last I checked. Getting involved with the Appleseed Project can be a little convoluted at first. I love the organization, but their idea of getting info is “go read our forum”. If you are like me, time is short, and you would rather not wade through countless threads trying to figure out everything you need to know. However, with some quick explanations, you will be on your way in no time. Let me save you some trouble and confusion. There are three kinds of events. First there are “Appleseed Shoots” (AS). These are two day basics classes or better termed as “foundational” classes. Believe me, no matter what you think your shooting level is, attend at least one of these first. Second, there are “Boot Camps” also known as RBCs (Regular Boot Camp). RBCs last for eight glorious days. 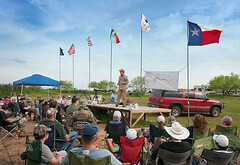 You get five days (8-9 hours a day) of rifle marksmanship instruction with a few breaks for history lectures. The sixth day is instructor’s instruction. 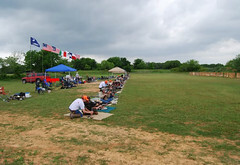 You learn the fundamentals of teaching rifle marksmanship and the history. 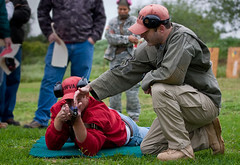 The seventh and eighth day you act as an Instructor In Training (IIT) at an AS – providing you make Rifleman and accept the offer to be an instructor . 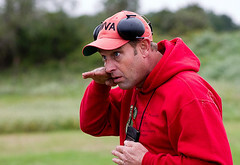 Third type of event is for instructors only and is known as an IBC or “Instructor’s Boot Camp”. This is an intensive two day course for instructors and IITs wishing to further their teaching abilities and move up the instructor ladder of the program. Here is the best part. Appleseed is incredibly inexpensive for what you get out of it. For 2010 the fees for AS are: $45 a day or $70 for the weekend. Free for Women, Youth Under 21yrs, Active Military, Guard or Reserve with ID. “Pay at the door” fees: $50 a day or $80 for the weekend. 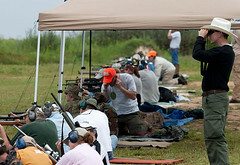 Participants may be required to pay a range fee to be collected by the range. As you might expect the the majority of participates are white males ages 30-40. While this is the majority (my observation only), it is not the whole. Every event I have been to has had a cross section of men, women, and kids. Appleseed Shoots are held very regularly. In most areas there is one a month; sometimes more. You can find the scheduling information on their “Appleseed Locations” page. RBCs are held less frequently because of how long they are and availability of facilities. You can find the RBC schedule on the “Appleseed Boot Camps” page. Be sure you are signing up for an RBC and not an IBC. The Appleseed Project Forum stays pretty active and is a great resource for all things Appleseed. Everyone on it is friendly and answers come pretty quickly. Take the recommended amount of magazines – 6. Take an extra one if you can. Ten round magazines are best. Bigger is not better. Pay special attention to the safety briefings. Take food that is easy to prepare. You don’t get much break time during the day and at night you are so tired you won’t want to cook. Leave what you know at home and come with an open teachable attitude. Do not show up with an “I already know how to shoot” attitude. Do not obsess over making Rifleman. You will only stress yourself out and turn it into an unpleasant experience. Learning what they have to teach is more important than the patch. Take rain gear. If it rains, you do not stop shooting. Did I mention Sun Block? Take lots of water and hydrating drinks like Gatorade. Be sure you have at least the recommended amount of ammo. I recommend a buffer surplus. 22 is cheap. The Appleseed Project RBC, simply put, can be an almost religious experience – if you let it be. I made some great friends and learned more than I would have imagined. It is an experience I highly recommend to anyone wanting to improve his or her marksmanship and really do something to make a difference. Before finding Appleseed Project I was really at a loss for learning practical Rifle Marksmanship. There really is nothing else out there, that I could find, between the NRA hunters class and an expensive sniper school that would be a waste at my level of rifle experience. I can’t stress strongly enough that everyone should go to even just one two-day shoot. Hope to see you on the firing line.